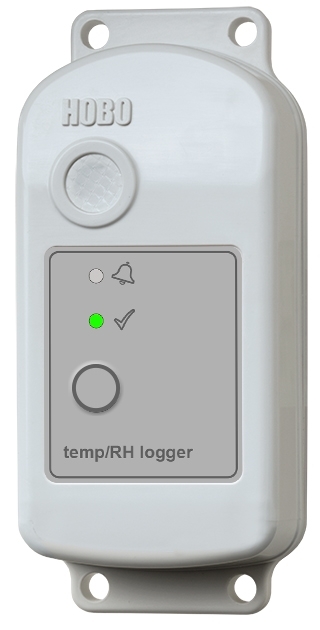 The HOBO MX2301 Temp/RH Data logger, coupled with the robust RS1 Solar Radiation Shield enabling accurate readings even in direct sunlight. 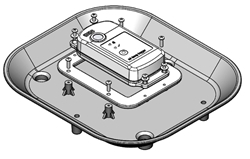 The solar radiation shield is recommended for temperature and relative humidity measurement accuracy in locations exposed to direct or reflected solar radiation. Mounts on tripods, masts, or flat vertical surfaces. 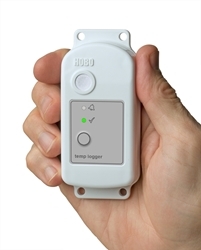 The RS1 is ideal for use with loggers such as the HOBO MX2301. With the addition of a MX2300-RS-BRACKET for mounting the logger inside the solar radiation shield, you have a fully encapsulated Temp/RH Data logging system, ideal for small farming applications or microclimate monitoring. Get the measurement accuracy you need – wherever you need it – without having to remove loggers from their deployed locations to offload data. All you need is a mobile phone or tablet running the free HOBOmobile app. No PC software to install, and no cables to connect! 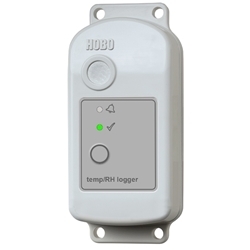 HOBO MX2300 temp/RH loggers are built to withstand the elements. 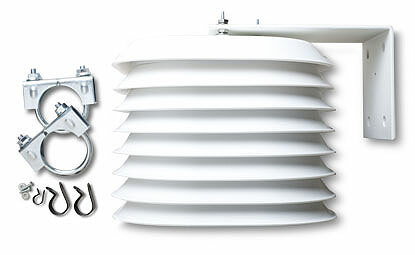 They feature a rugged weatherproof housing designed for long-term studies – even in harsh climates. 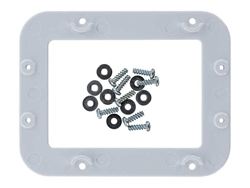 Their compact size and built-in mounting holes make deployment simple, with no need for mounting brackets in most cases. 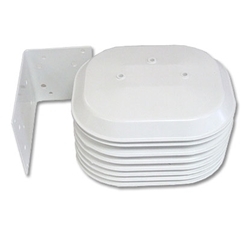 Plus, wireless communication means these loggers can be deployed entirely inside our RS1 solar radiation shield for high reliability, while still being easy to offload with a mobile device. 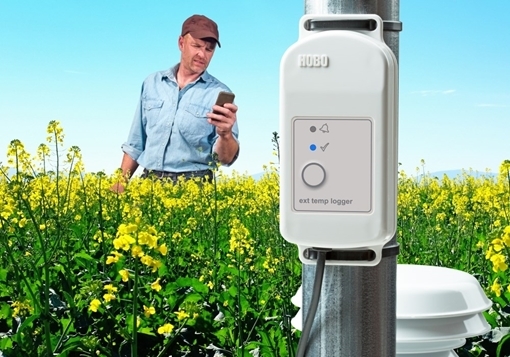 The HOBO MX2300 data loggers requires the HOBOmobile App and a compatible mobile device. 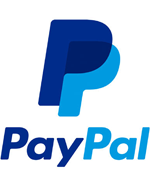 The system requirements for the HOBOmobile app can be found at the bottom of our HOBOmobile software page. Onset’s HOBOmobile app, a free download from the iTunes or Google Play app store, makes it a snap to configure MX Series data loggers and manage the collected data. 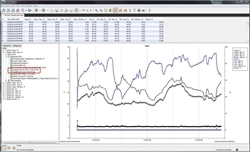 Right from a mobile phone or tablet, users can view data in graphs, check the operational status of loggers, share data files and graph images for analysis in Excel, Numbers, and other applications, and store data in the cloud. 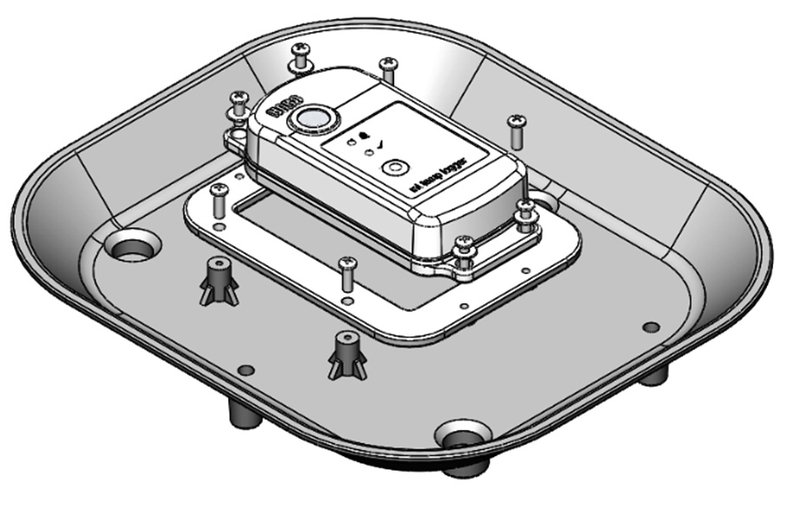 HOBOmobile also makes it fast and easy to set up audible alarm notifications so users are immediately notified of problems. HOBOmobile can automatically upload data to Onset’s HOBOlink service for storing and merging data files (iOS only).